No one wants to feel like just a number, not even when they’re dealing with an industry that lives and dies by numbers. Yet too often, bank customers feel like their satisfaction and financial well-being just aren’t that important to their primary financial institution. A Gallup survey found that more than a quarter of bank customers who had a problem (and 15 percent had a problem in the past six months) were not at all satisfied with how their bank handled their issue. Credit unions scored lowest on satisfaction, with 40 percent of troubled CU customers totally dissatisfied with their customer experiences (CX). Need more evidence that consumers aren’t feeling the love from (or for) their banks? The Consumer Financial Protection Bureau (CFPB) received more than 23,000 mortgage-related consumer complaints in the first seven months of 2016. And the news is even worse among millennials; according to the Millennial Disruption Index, 53 percent don’t see much difference between banks and 71 percent would rather go to the dentist than listen to what their banks have to say. Of course, bank customers want to feel like they’re people to their bank. What’s more, they want to feel like important people. What makes them feel important? Industry research consistently tells us bank customers want personalized service across every channel of interaction with their financial institutions. It’s no longer enough to call them by name when they walk into your branch. It’s vital to take a data-driven, process-oriented approach to improving your CX and this means looking at every touch in the customer journey. You have to take them step-by-step and find the changes that can make the biggest difference quickly to build some momentum in the process. Time is a finite resource, and consumers don’t want to waste any of their precious time wading through information or offers that aren’t relevant. They want relevancy in terms of their stage in life, as well as where they are in the transactional process. They want mortgage information when they’re thinking of buying a house; not when they’re sending the kids off to college. How are you using the data you have in your systems? 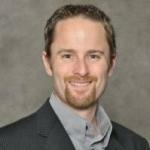 Are you accessing data from third parties when you send out your communications to customers and prospects alike? Best-in-class marketers have embraced the power of signals, which indicate consumer intent or behavior. Each signal can be tracked, monitored, and acted upon. Reaching customers at the critical moment, in the right channel with the right message, requires keen insights about the signals they’re producing. Multiple studies have confirmed that consumers want their financial institutions to act as sources of relevant information and advice for their financial decisions. They want to be able to get that advice on every channel in the moment they want it. In fact, so great is the craving for advisory information, consumers are even open to robo-advice; nearly half of those surveyed by Accenture said they were willing to bank using robo-advice. Speed and convenience (50 percent) and lower cost (29 percent) were the perceived primary benefits of robo-advice. This isn’t THE future, but it’s certainly part of the future. Despite the continuing rise of digital channels, the bank branch is still very much relevant in the minds of consumers. When they need a higher level of help or plan to engage in more complex transactions, consumers consistently want face-to-face interaction in a branch location. Nearly half of branch-users surveyed by Accenture said they trust their bank more when dealing with someone in person at the branch, and 47 percent said in-person interactions give them more value. Channel matters and you need them all to give consumers and businesses the CX they are looking to have. Join Jim Marous, co-publisher of The Financial Brand and Deluxe’s Rich Walker as they discuss how to overcome your CX implementation challenges and capitalize on emerging opportunities. During the webinar, our experts will help you identify strategies that will make a big impact on your customer experience. Consumers now expect to be able to connect with businesses through multiple channels, whether it’s social media, the company’s website, a mobile app, by phone or in person. Research shows that most bank customers — even the 20 percent that Accenture says are now entirely digital — select communication channels based on their needs of the moment. A single account holder may use a mobile app to check balances and transfer money between accounts, research mortgages on their bank’s website, and walk into the branch when they’re ready to apply for that mortgage. Pop-culture stereotypes of dehumanizing technology notwithstanding, the digital transformation is actually driving customers to expect more and better personal treatment from their banks. Other businesses that have successfully leveraged technology to improve customer experience have “trained” consumers to expect this level of personalized service. They’re no longer willing to accept anything less from their financial institutions. Consumers’ experience with other companies has made them savvier about what’s possible in terms of personalization and customer service when a business successfully leverages technology. They know tech can help their financial institutions do a better job of meeting their needs, and if your bank isn’t doing it for them, they wonder why. The bank-customer relationship is the foundational truth of the industry. Banks that build solid, mutually beneficial relationships with customers succeed. Community banks used to be relationship-building leaders, but a recent study by J.D. Power indicates they’re now lagging behind. Meanwhile, big banks are making strides toward greater customer satisfaction. The survey of more than 75,000 bank customers found satisfaction with big banks has improved 6 points from 2015, giving the mega-banks an overall satisfaction score of 793. By contrast, regional banks had a score of 790, the same as in 2015, while satisfaction with midsize banks actually fell 5 points to 797. Since 2010, customer satisfaction with big banks has improved by 56 points, J.D. Power’s report notes. Better tech seems to be a significant factor in the gains realized by the big bank sector. They scored highest for customer satisfaction with mobile experiences, ATMs and online satisfaction. Mega-banks have long been criticized for being impersonal, but they’re successfully leveraging technology to improve that perception. Perfect the art of digital conversation. Do your communications with account holders read as if you’re talking at them, rather than to them? Worse, do you make customers feel as if they’re speaking with an algorithm rather than a person? Banks should adopt a new language across every channel of communication, one that strikes a conversational tone. It may help to borrow the content marketer’s philosophy that when account holders communicate with you, you want them to feel as if they’re talking to a trusted, well-informed and intelligent friend. Balance tech and the human touch. Research tells us that while account holders may be fine with automation for certain services when they have more complex issues they want an actual human being to solve them. Your customer service should be a careful balance between automation and human interaction. Customization is key. Technology makes it possible to offer account holders truly customized experiences in virtually every aspect of their relationship with your financial institution. Fulfill their expectations by providing advice, information, and support that is customized to their preferred communication channels, their life stage, and their needs. Don’t discount the branch. According to Accenture, 87 percent of consumers say they will use bank branches in the future. In fact, the branch is the preferred communication channel of nearly a quarter of all consumers — second only to online banking. Nowhere else in the customer-bank relationship is it easier to treat account holders like human beings. When customers walk into a branch, your in-house team has a unique opportunity to make them feel welcome, wanted, satisfied and downright thrilled. A positive in-branch experience can be an opportunity to enrich the profitability of individual customers. Dealing with numbers on a daily basis doesn’t mean your financial institution has to make account holders feel like just another number. When financial institutions humanize their interactions with account holders, the bank/customer equation adds up to greater satisfaction and success for all parties. 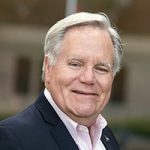 Remember to listen to our on-demand webinar with Jim Marous more insights on this topic as well!